whose lives were affected by, or lost, to acts of domestic violence. Educate yourself. Learn the signs. Domestic violence is a learned behavior. Living in a house where violence is a part of daily life puts children at risk physically, emotionally, and mentally. Abused children often become adult abusers. Stopping the cycle of violence and abuse is vitally important to ending it. Domestic violence comes in many forms: physical, psychological, sexual, technological, financial ... and, yes, it includes stalking. Abusers utilize whatever means they deem necessary to exert control over their victims. Today's technology, while not intended for this purpose, makes it frighteningly easy. Domestic violence is about control and power. Abusers can be male or female; adults or teens. Violence breeds pain, trauma, fear, broken bones ... homicides. Make this your mantra: There is NO excuse for domestic violence! Absolutely NONE. New Hope For Women (NHFW) serves the counties of Lincoln, Knox, Waldo and Sagadahoc, offering support to people affected by domestic violence in all its forms: domestic violence, dating violence and stalking. 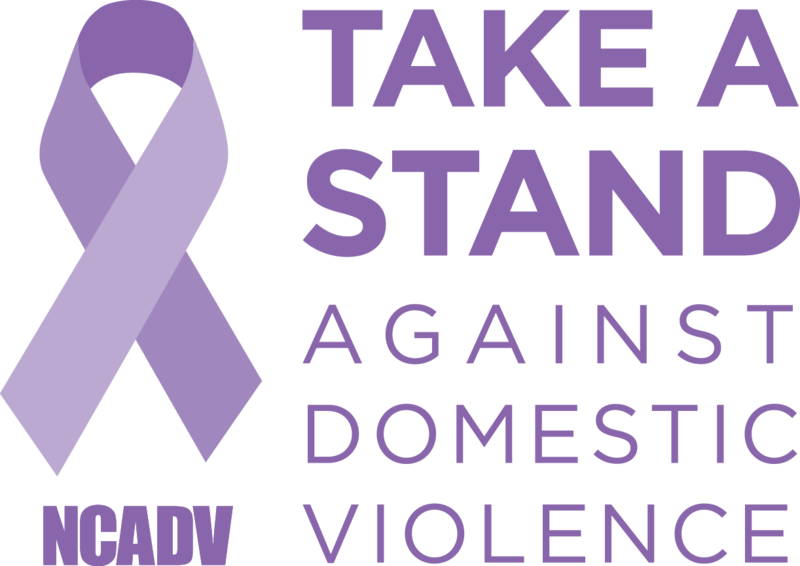 NHFW also provides educational resources for the public, schools, other domestic violence related agencies, hospitals, and medical offices. NHFW and the former Domestic Abuse Prevention Council of Boothbay co-sponsored teen dating violence programming at Boothbay Region High School including the presentation of "Jake and Caroline." NHFW's batterer’s intervention program, Time For Change, is a 48-week educational program for men who abuse their partners. It should be noted (according to NHFW) that most of the men participating in this program have been ordered to do so by the legal system. For more information on this program, call 207-594-0270. NHFW's most well-known visual awareness initiatives, An Empty Place At the Table, has been set in churches, libraries, museums, and other quiet locations since 2002. The initiative first appeared in Pennsylvania. A dinner table six empty chairs bears the place settings of five victims of domestic violence homicide, donated by families. NHFW has a 24-hour hotline - 1-800-522-3304 - operated by trained professionals ready to listen and to help all callers. New Hope For Women’s main office is located at 5 Beech Street in Rockland. 207-594-2128. Open Monday through Friday, 9 a.m. to 5 p.m.
Not only in Maine, but in every state in the country. What is stalking? In Maine it is defined as: "intentionally or knowingly engages in a course of conduct directed at, or concerning a specific person that would cause a reasonable person to suffer serious inconvenience or emotional distress; to fear bodily injury or fear bodily injury to a relation; to fear death or to fear the death of a close relative; to fear damage or destruction to or tampering with property; or to fear injury or death of an animal owned by or in the possession or control of the specified person." Being stalked creates fear and anxiety in its victims. According to www.stalkingawarenessmonth.org, one in four women and one in three men will be stalked in their lifetime. To be stalked is not flattering. The action does not reflect love. It is intrusive and impacts the lives of victims at their home, place of employment and anywhere they may go. 2015: Spyware: Peace of mind or violation of privacy? This report, released in 2009, by the U.S. Department of Justice, provides important information from a 2006 survey. This is still the most current survey. Revised Stalking Victims in the U.S. Legislation addressing stalking became law in 1995. Stalking, on first conviction, is a Class D crime. The sentence is a minimum of 60 days, but all but 48 hours may be suspended. An individual convicted of stalking may also be ordered to attend a court approved abuser education program, such as New Hope For Women's "Time For A Change." If two or more offenses are committed and the individual convicted of stalking, it is a Class C crime. The other offenses could include violating protection orders. The sentence in this case is at least 6 months, but all but 14 days may be suspended. For over 30 years, the Maine Coalition Against Sexual Assault (MECASA) has represented and served Maine’s sexual violence service providers. MECASA works toward ending sexual violence by providing public policy advocacy, assistance to Maine’s sexual violence service providers, public awareness and prevention activities, and statewide training. Providing expert training, statistics, and resources about sexual violence to organizations, groups, and individuals throughout the state. Source: agency's website. Reach an advocate by calling the statewide 24-hour sexual assault crisis and support line at 1-800-871-7741 (TTY 1-888-458-5599). And then answers that question through action with compassion offering activities - for parents and children, a parenting blog, Parent Talk TV series, home visits, parenting classes, nurturing and parenting workshops for each developmental level, offers alternatives to spanking as a means of discipline, provides a place for supervised visitations, CPR training, give parents skills to cope with the stresses of child rearing, and so much more. In Damariscotta: Mondays - 10 a.m. to noon at Healthy Kids , 15 Belvedere St. Founded in 1995, the Institute has sponsored statewide conferences, provided train-the-trainer and workplace training workshops, produced public service announcements and are currently providing transitional housing support and outreach services for older victims of domestic violence and sexual assault. Adult Protective Service 24-hour hotline: 1-800-624-8404. A new report by the ACLU and scholars from the University of Miami School of Law and CUNY School of Law exposes the widespread discrimination that survivors of sexual assault and domestic violence feel they face when dealing with law enforcement. In September 2014, Vice President Joe Biden marked the 20th anniversary of the Violence against Women Act (VAWA). While this was celebratory, it was also reflective and marked a unique opportunity to explore how law enforcement responds to domestic violence and sexual assault. This is particularly timely given both the historic concern with law enforcement's failure to respond to domestic violence and sexual assault and the growing public attention to mass incarceration, its multiple and racially disproportionate impacts, and racial bias in policing. A team of lawyers, professors and students from the American Civil Liberties Union (ACLU), City University of New York School of Law (CUNY), and the University of Miami, with the assistance of the American Bar Association (ABA), came together to capture stories from advocates, service providers, and others who work with survivors. From the outset, the team sought to collect narratives and examples from the field regarding experiences of survivors and their families with police. An overwhelming majority of the respondents (88%) reported that police "sometimes" or "often" do not believe victims or blamed victims for the violence. A similarly large majority (83%) reported that police "sometimes" or "often" do not take allegations of sexual assault and domestic violence seriously. The ACLU identified several key issues that advocates, service providers, attorneys, and others named as central concerns regarding how police respond to domestic and sexual violence and additional reasons that some survivors do not contact the police or cooperate with criminal interventions. This important report from the ACLU raises many concerns, but also makes recommendations to enact a better response in policing of domestic violence. This unique insight into the experience of hundreds of advocates, service providers, and attorneys working with domestic violence survivors provides valuable information that needs consideration as we move forward in tackling the complex issues related to domestic violence. Maine Friends of Animals (MFOA) is a statewide organization that promotes the humane treatment of animals through education, advocacy and legislation. Since 1997, MFOA has been Maine's leading voice for animal protection, working tirelessly to end animal cruelty in our state. MFOA is dedicated to improving the lives of all Maine animals — domestic, farm and wildlife. Focused contact with lawmakers to advance animal friendly legislation. Legislative information and action for members on pending legislation, campaigns and strategies for influence. Recruiting, endorsing and actively supporting animal-friendly legislators. Animal advocacy education for schools, fairs, public events, conferences, civic organizations and the media. Information, video and research center available to groups and individuals interested in animal protection. The legislation mandated that the Panel “recommend to state and local agencies methods of improving the systems for protecting persons from domestic and sexual abuse including modifications of laws, rules, policies, and procedures following completion of adjudication.” The Panel was further mandated “to collect and compile data related to domestic and sexual abuse.” 19-A M.R.S. §4013(4). See Appendix A for the complete language of the Panel’s enabling legislation. The Maine Domestic Abuse Homicide Review Panel meets on a monthly basis to review and discuss domestic abuse homicide cases. The Panel Coordinator works with the prosecutor and/or the lead detective to present to the multidisciplinary Panel an overview of the homicide, information about the relationship of the parties, and any relevant events leading up to the homicide. Homicide cases are presented to the Panel after sentencing. Homicide-suicide cases are presented once the investigation is complete. The Panel reviews these tragedies in order to identify potential trends about domestic abuse and recommend systemic changes that could prevent future deaths from occurring in Maine. The panel plays a significant role in the prevention and intervention work that is occurring in Maine by gathering opinions and expertise from a variety of professional disciplines across the state. • Economic security programs like equal pay, paid family and medical leave, paid sick and safe days, and access to affordable childcare. • Policies that address the over-incarceration and disproportionate incarceration of people of color, including efforts to interrupt the school-to-prison pipeline. • Policies that close loopholes that enable abusers to have access to firearms, other measures that address gun violence. • Safety for immigrant victims of domestic violence, including policies that extend asylum protections to victims, promote pathways to legal status for victims, and provide safety from detention or deportation when victims seek help through the courts, medical facilities, or other service providers. This DVAM, #1Thing you can do to address domestic and sexual violence is committed to voting. For those of us with the ability to vote, we should also take this month to be sure that our vote is based on a well-informed understanding of the policies that candidates put forward, and the impact of initiatives or other measures that might be on the ballot – and to remember that this kind of policy-level work is central to our role as advocates, too! As organizations working to end domestic violence and sexual assault, we can also work with survivors and others in our communities to ensure that they are registered to vote and committed to participating in the electoral process. Non-profit 501(c)(3) organizations are permitted to promote voter participation and to engage with candidates for elected office on a nonpartisan basis. Your vote can be #1 thing that makes a difference for survivors and for your community! Need to get off this page quickly? Click here.